We blend portfolio management with lifestyle financial planning. We think this links You, to Your Money, to Your Goals and back again. We think not many people can do this. And we think it’s a little special. We bring the pieces of your financial life together to make a new, big picture. We do the same when devising investment portfolios. From finding out about you, to working out what your goals are and what risk you are happy to take getting there, everything we do makes a difference. Without a deep knowledge of You; your goals, hopes, fears, prejudices and aspirations, we haven’t got a hope of threading the investment needle. YOU. YOUR MONEY. YOUR GOALS. We use all kinds of tools to help; we will introduce you to these as we go. But one thing you will always get is an individual Financial Plan. This will help you understand Your Number, the amount you need to ensure your Freedom. We run through an eight step process to complete your Risk Profile and we will prepare a Risk Profile Report which details our assessment of each area of your risk profile, illustrating the results of each of our assessments as a portfolio result. Using internal and external technical research, we will prepare reports to detail our recommendations in each area in accordance with your objectives. Our areas of speciality are Investment, Pension and Inheritance Tax Planning. Montage portfolios are different. We call our portfolios by the percentage of growth assets they hold. We offer 11 portfolios, which are all called MPMnumber which gives us the flexibility to meet most people’s needs, most of the time. Wealth Management is an ongoing process. Our Wealth Management service is proactive and structured, offering on-going Lifestyle Financial Planning with regular review meetings to review Your plans, objectives, and goals. 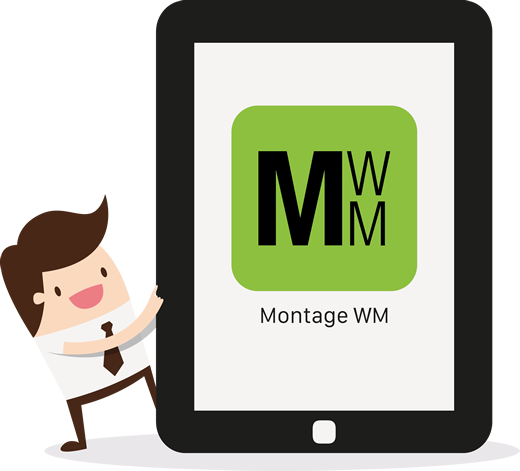 Read some of the latest news, thoughts and opinions from the Montage blog. Weekly Market Update for the week commencing 15 April 2019. Including weekly Market Updates, monthly Portfolio Fact Sheets, quarterly Market Outlooks, as well as other publications and updates. You can use the App to view your portfolio value and performance online.